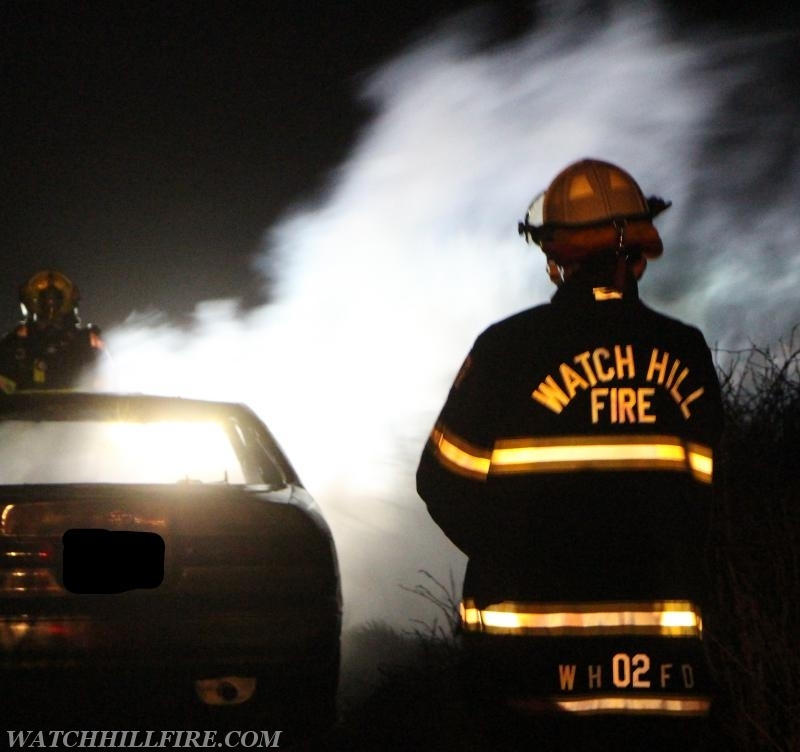 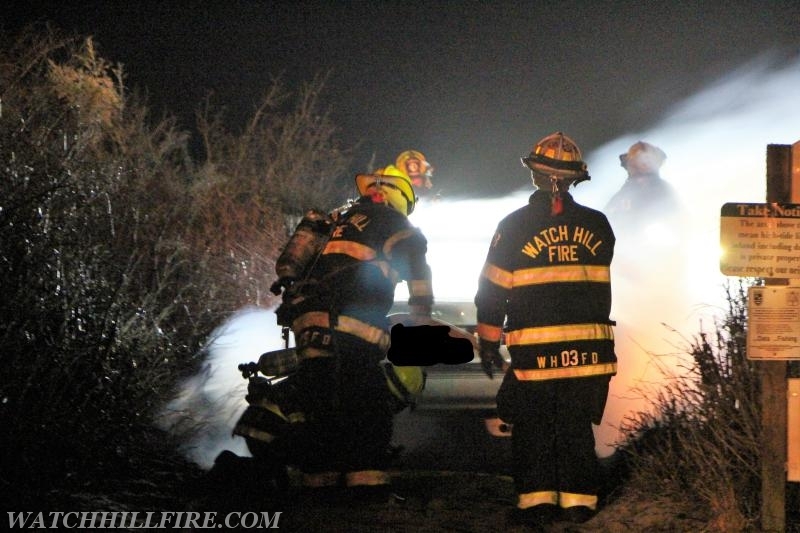 Members of the Watch Hill Fire Department responded to a car fire on the sand trail access road leading to the beach off of Everett Avenue. 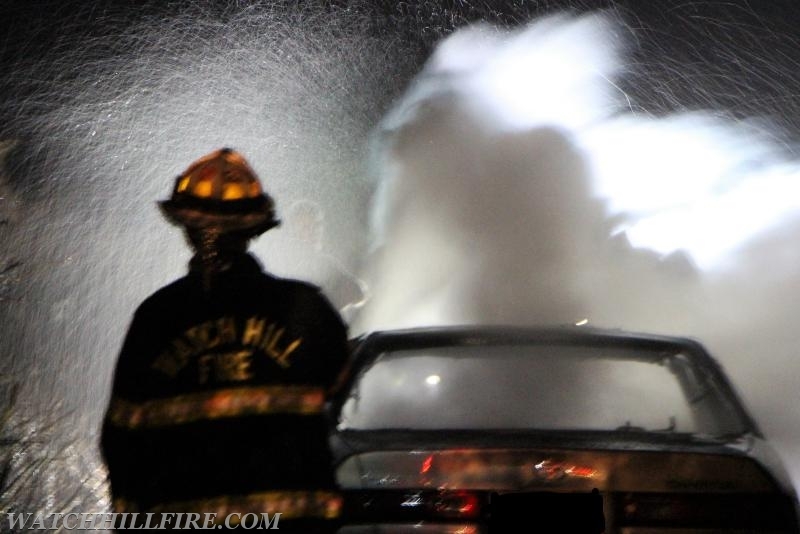 The 911 caller reported that the car was fully involved and had extended into the nearby brush. 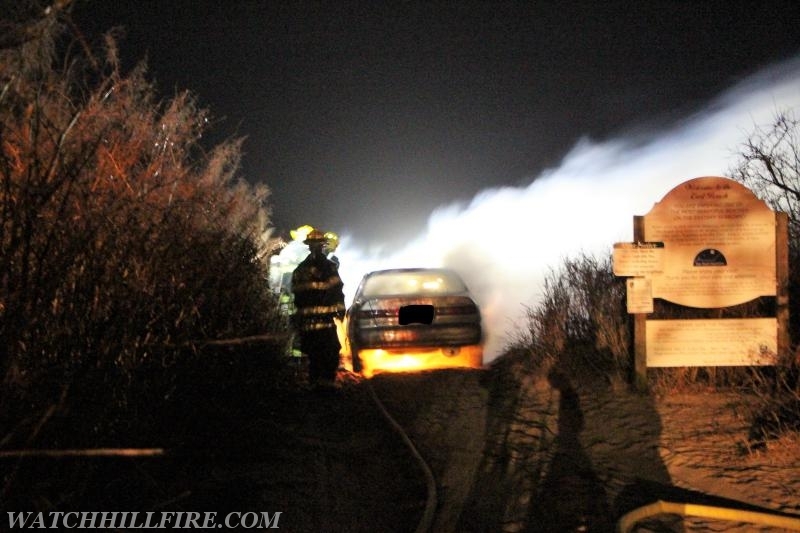 The car fire and the resulting small brush fire were quickly extinguished. 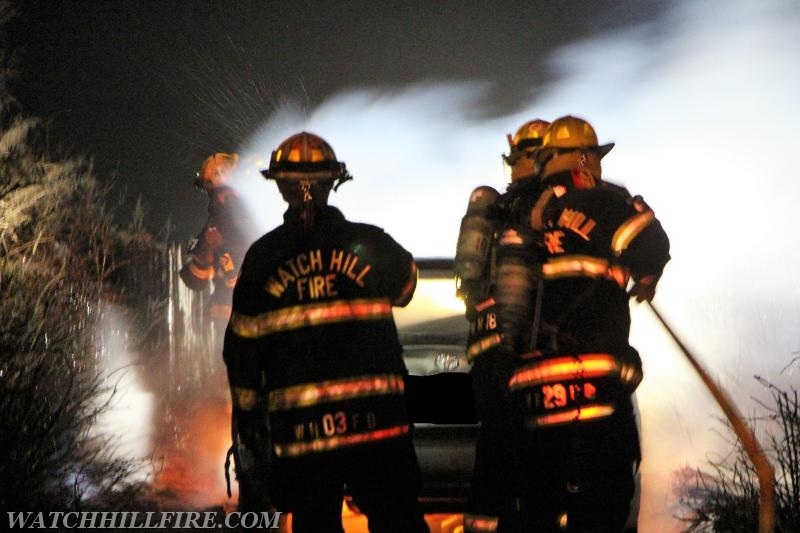 Engines 102, 103, and Ladder 104 responded to the scene. 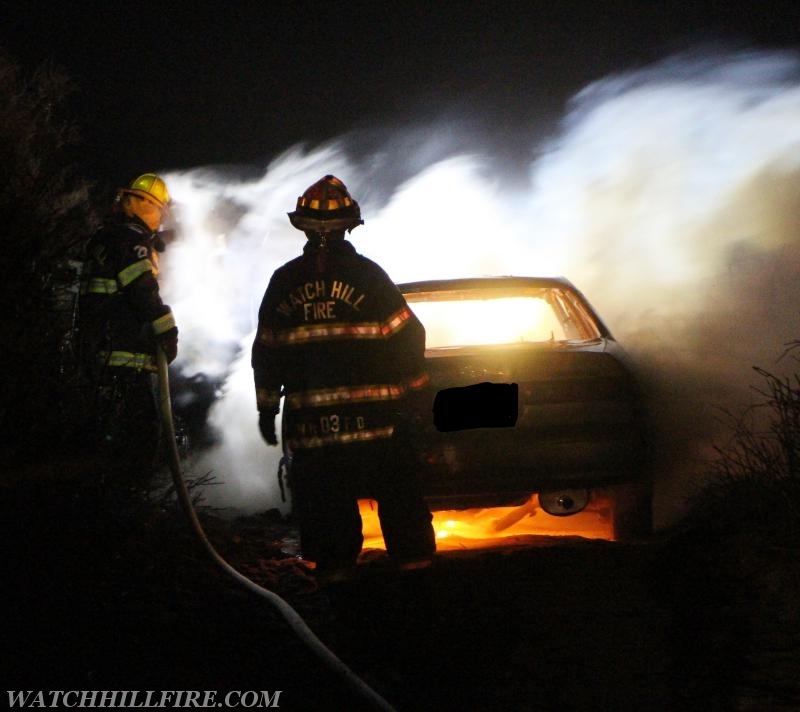 An investigation determined that the operator of the car was trying to drive onto the beach in an older front wheel drive car and became stuck in the deep sand. 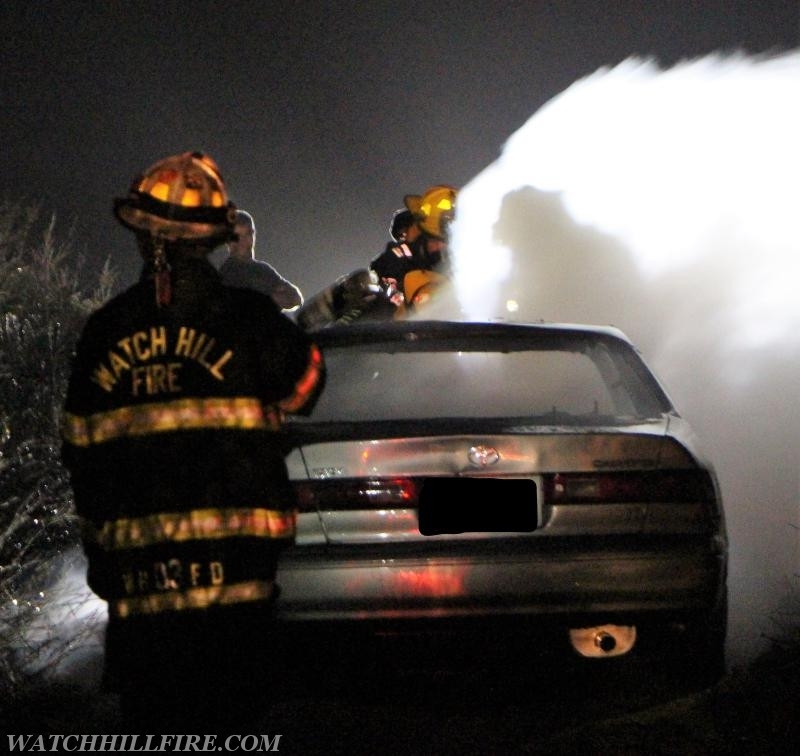 After unsuccessfully attempting to free the vehicle by rocking it back-and-forth she heard a loud noise and saw a flash before fire quickly began to spread. 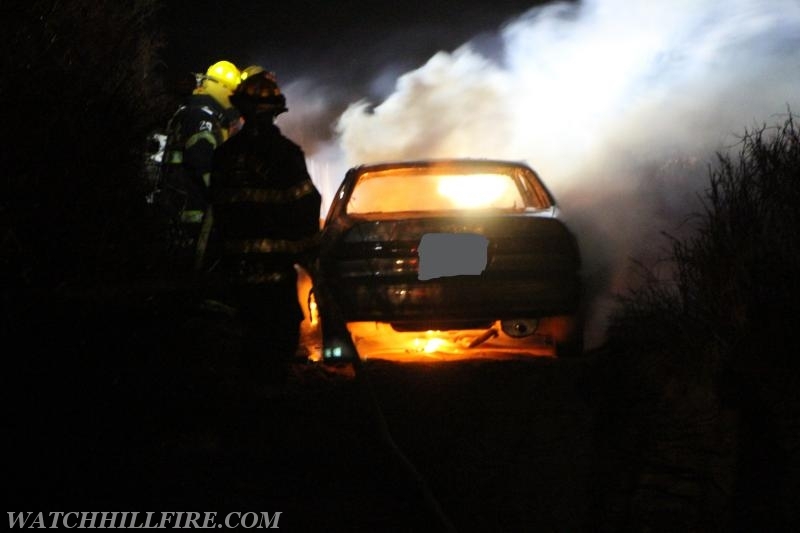 She and her dog were able to get out of the vehicle and were not injured.